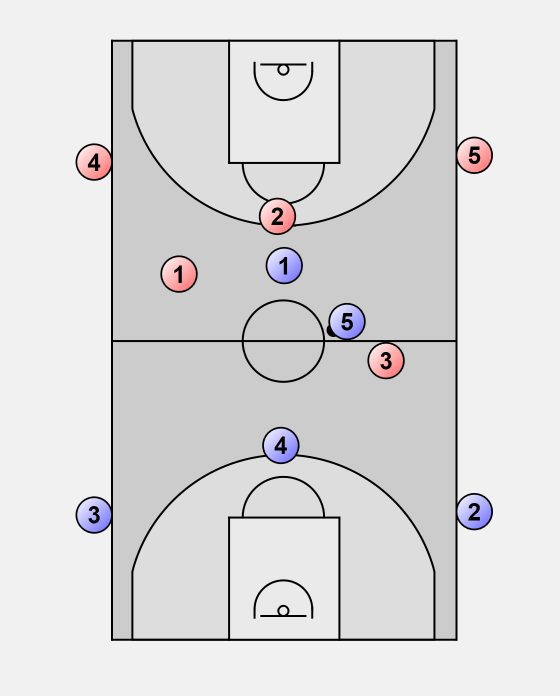 • 3 on 3 requires 10 or more players with 2 sideline outlets or 8 players with 1 sideline outlet. 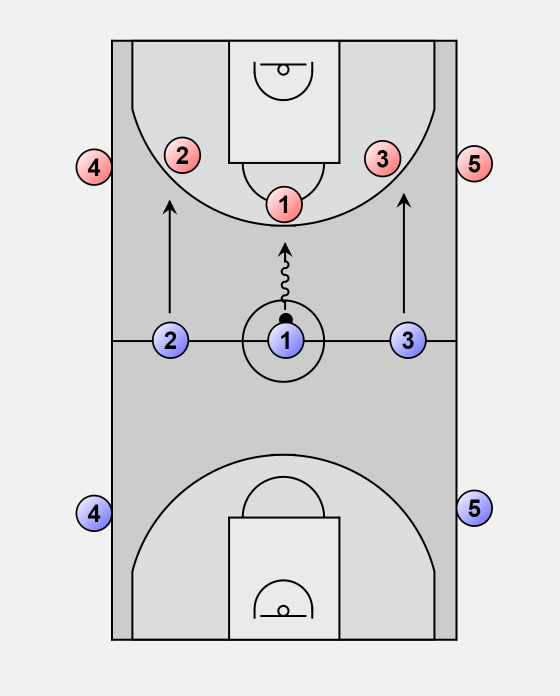 • Once the hoop is made, the defending rebounder changes to offense, the 2 remaining defensive players come off court to opposite sidelines and the orginal offensive players change to defense. 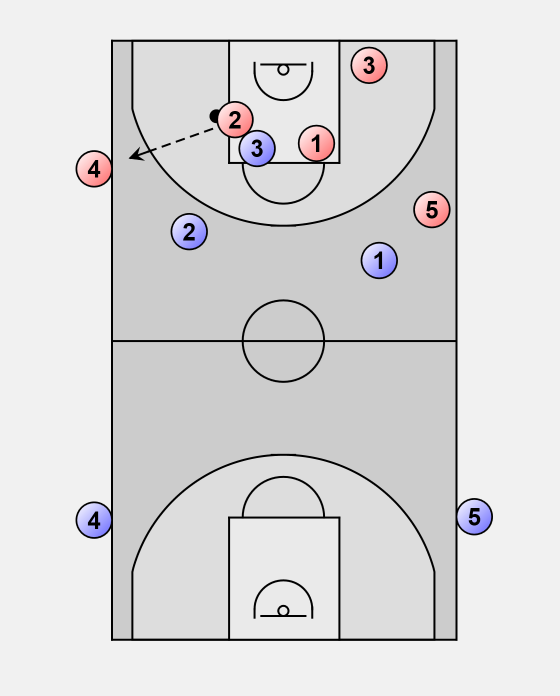 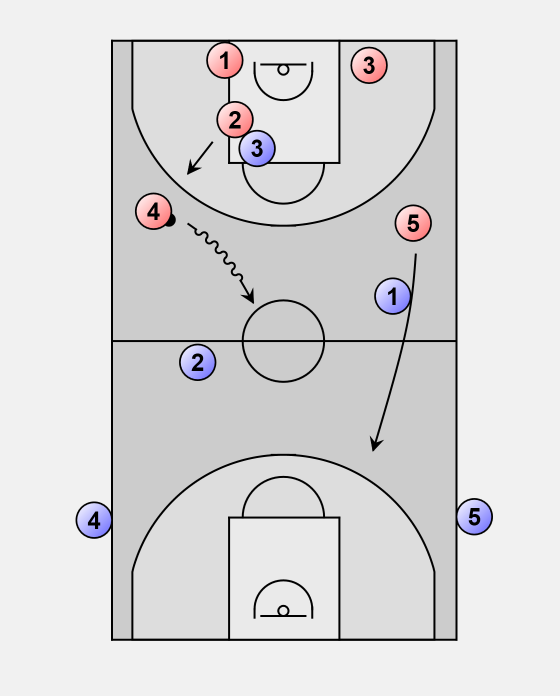 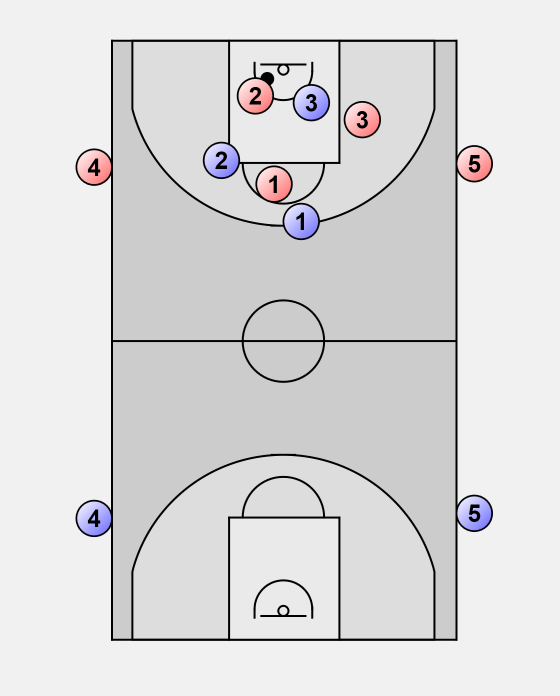 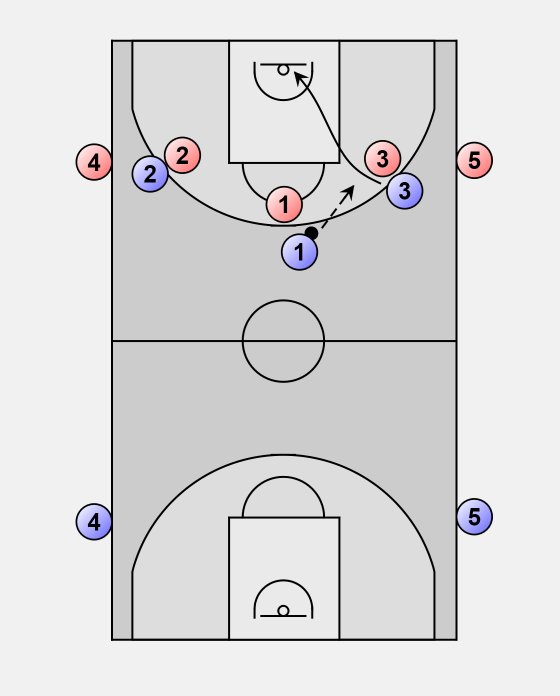 If a turnover happens, offense switch to defense and defense to offense and the play continues with no outlet passes to sideline until a basket or rebound is made.